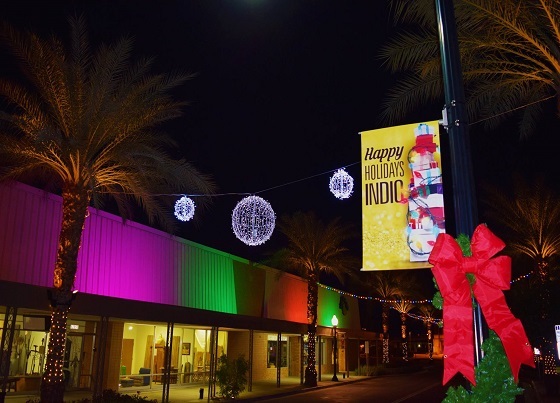 Indio, CA: The Greater Coachella Valley Chamber of Commerce and the City of Indio are making plans for holiday cheer in downtown Indio again this year. The Second Annual Indio Winter Fest will be held near the Chamber of Commerce building on Miles Ave. and Smurr St. 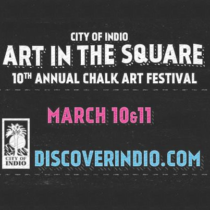 The festivities culminate with the Second Annual Indio Winter Fest in downtown. The event is scheduled for Friday, December 16th from 5PM to 8PM. The event will include carolers, kids activities, and a showing of “Elf” on the giant outdoor 35 foot big screen. The highlight of the evening will be a visit from Santa and an opportunity for children to have their picture taken with him. Each child will also receive a gift from Santa. Admission to the event is free, as are the scheduled activities. Winter Fest is made possible by the generosity of the event sponsors – the Cabazon Band of Mission Indians/Fantasy Springs Resort Casino and Costco. Winter Fest is hosted by the City of Indio and the Greater Coachella Valley Chamber of Commerce. The movie and kids activities are supported by the Desert Recreation District. For more information please contact The Chamber at 760.347.0676.